Here’s a crunching collection of R&B girls, with coyness in short supply. In fact, the sassy singers gathered here on this collection of rockers, wailers, and neo-popcorn favourites tend not to be girls, exactly. Highlights include Blanche Thomas’s You Ain’t So Such A Much, written as a response to Hound Dog – faster, tougher, and easier on its feet. Ruth Brown’s atmospheric Sure ‘Nuff includes King Curtis on sax and Phil Spector on piano, with Jerry Leiber and Mike Stoller producing. Doris Payne went on to become better known – and to score a sizeable hit with Just One Look in 1963 – as Doris Troy. 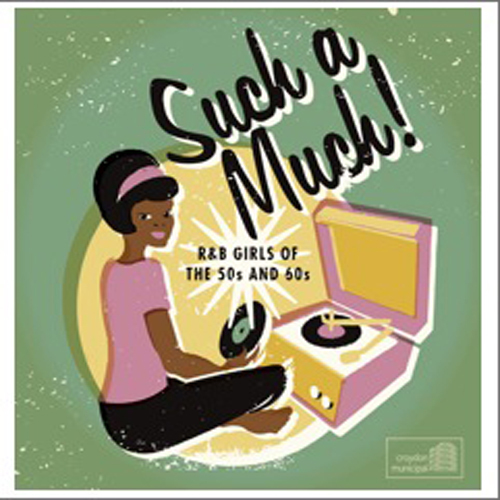 Like Doris, both Marie Knight and Big Maybelle are better known for their sixties soul sides than they are for their fifties R&B ravers, but I’ve Got A Feelin’ and I Thought I Told You Not To Tell Them are jukebox-ready classics. All twenty songs here are floor fillers, waiting to be the centrepiece of a movie soundtrack or – better yet – the soundtrack to your next house party.